No cons about it | Stand Up and Speak Out! I am one of the few people here that doesn’t have on a shirt with a pop-culture reference on it or is dressed in anime costume. That’s because I’m at GenCon in Indianapolis, Indiana. 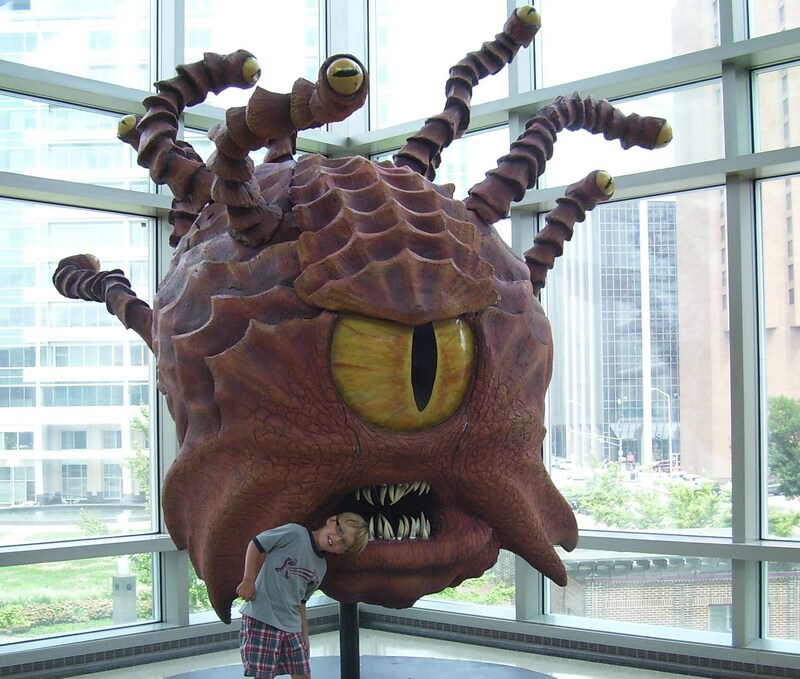 Once a year, gamers flock to the circle city for a four-day cavalcade of everything geek. Now, I’m not full-blown geek but I am friends with people who are and I like geeky things. I would call myself a wee-geek. Some of my favorite shows share much of the same fan-base of the attendees here (those shows being Buffy the Vampire Slayer and Big Bang Theory). This is my first GenCon and I’m only here because Judy offered to buy me a ticket for the day. Judy and her husband, Tony, are a bit more hard-core geek than I am, although Judy doesn’t game and Tony does. Even so, they’ve been attending GenCon for 8 years and have even made the trip to California for Comic-Con. Tony has the biggest Star Wars collection I have ever seen; I once counted 30 huge tubs full of Star Wars items in his house. That didn’t include all the stuff out on display, either. Like I said, hard-core. Judy and I skip the gaming rooms altogether and go straight to the booths. Most booths are selling game pieces, t-shirts, strategy books, and collectibles. Others are selling costumes, including some corsets (if I had the $100 to spare, I would get one). Still others have science fiction and fantasy authors and artists. The booths selling games have demo stations set up. Everywhere I look, groups of people are playing all kinds of games. I’m not as interested in the games as I am in the people. Specifically, the people in costume. There are all types and degrees of costume, from anime characters to goth fairies to steam punk. It is fascinating. 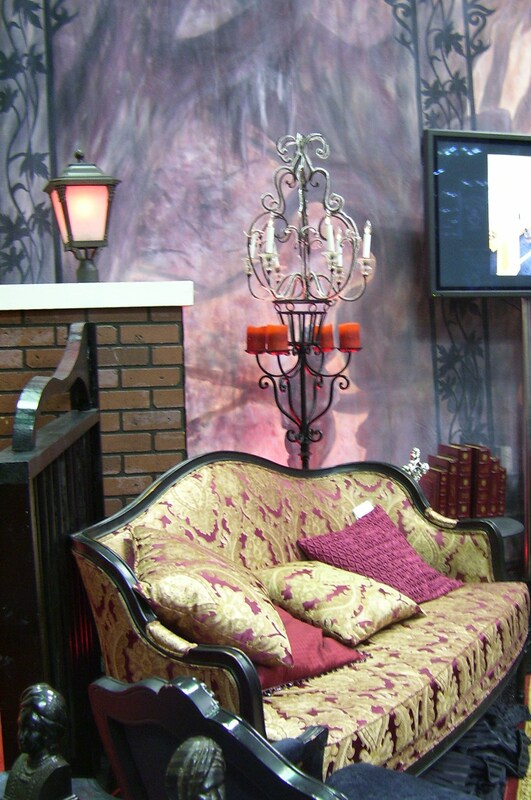 My favorite part, though, has to be the goth lounge. I have no idea what it is for but I am enthralled with the chaise lounge chairs, the chandelier-esque floor lamps, and the iron grating on the walls. After Judy and I are done snapping pictures of the area, I turn to her and say, “I think you should decorate a room in your house like that!” I’m sure she would, too, if she had the money. Hell, I would if I had the money (and the house). While I enjoy the few hours I am at GenCon, I probably won’t go again unless someone connected to Buffy or Big Bang Theory is there (and there’d be no stopping me if Neil Patrick Harris made an appearance). But that’d be more likely at Comic-Con so perhaps I’ll have to attend that one year. Until then, I’ll just enjoy my one purchase: a red “Bazinga!” shirt with Dr. Cooper’s face on it. The fact that I’m excited about my purchase just goes to prove that I do, to a degree, fit into this group, even if I don’t look like it.